Our careers are rarely linear. We make choices along the way that take us down paths we could not have anticipated with outcomes that are unexpected. One choice leads to another, and suddenly we realize we have reached a destination. That place might feel right, or it might be somewhere you don’t want to stay any longer. It’s difficult to know what the “right” choice is at these junctures in our lives. Sometimes we make a choice that we question later, other times the decision we made is clearly reinforced. One of these choices led me to my career as a professional coach. 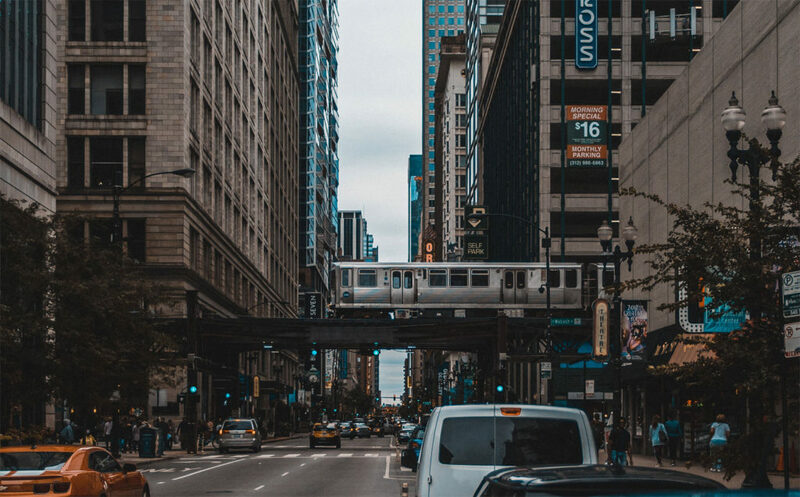 I was enrolled in a coaching and leadership development course and was riding the L train in Chicago to my job where I was still working as a Senior Vice President at a prominent advertising agency in the Loop. It was early in the morning, and as I looked around the CTA car, I was struck by the lack of optimism and confidence all around me. There were tradespeople with their coolers, hard hats, and rugged work boots with years of paint or caulk or whatever embedded in the leather. Service providers of all ages heading to the hotels, restaurants, hospitals, or office buildings wore the shirts or jackets embroidered with the name of their companies. There was a cadre of workers coming off the night shift at O’Hare airport with their dangling lanyards representing airlines, TSA, or other support companies. Younger employees were on their way to the co-op workspaces, tech companies, or Fortune 500 corporations re-establishing a presence downtown. A few mid-to-late career folks like myself, were ready to shoot up high-speed elevators to the lofty heights within the downtown skyscrapers. Individuals were sprawled out and occupying pairs of seats. Clearly they had been there overnight with nowhere else to go or had made a choice to sleep in the train until asked to leave. As I looked around the train, these wildly different people had one thing in common: passiveness. Their indifference was evident by frowns and hunched shoulders. Eyes were distant or closed, certainly not making eye contact. No one engaged with each other or the world around them. The only movement came when there was shuffling to make room in the adjacent seat when a newcomer joined this train of detachment. There was little expression of confidence that they were looking forward to the day that lay ahead of them. I realized that I was seeing every single person in a way differently than before. It felt as though a clouded piece of Plexiglas was lifted from my eyes and now everything was crystal clear. I had seen these postures before, but what struck me was that in virtually everybody on that train car I saw melancholy, disappointment, or at best just blah. Why? Why do we have to go through life like this? Is this what our God, divine being, or the Universe intended our life to look like? That morning confirmed my decision to fully embrace my path as a coach to help individuals be happier, more successful and fulfilled in all aspects of their life. In the years following that experience on the train, I have worked with hundreds of people, and am humbled by their willingness to share their hopes, fears, challenges, and accomplishments with me. Together we have been able to uncover obstacles, and they have learned the tools to move forward to find the path for themselves where they can find the most success and fulfillment. From The Impact of Confidence: 7 Secrets of Success for the Human Side of Leadership by Timothy J. Ressmeyer, First Edition Design Publishing, 2018.